A great garden planner for all the family; useful for Mum and Dad and an educational tool for the kids! 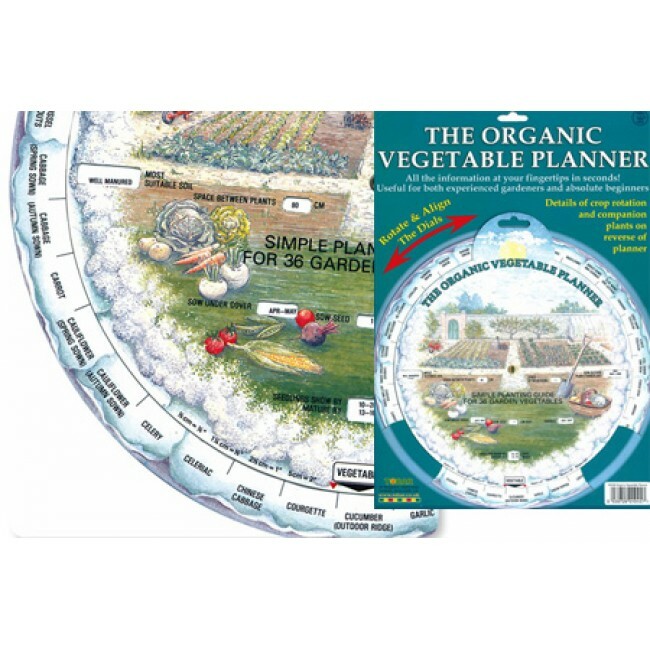 Simply align the arrow to the desired vegetable and the dial will tell you all the information you need to know to grow them, such as the most suitable soil, how to plant or sow the seeds, and the best times to sow and harvest. Over 30 varieties of vegetable are detailed on each dial. This will not only help with a child`s interest in gardening but encourage in reading practice too.